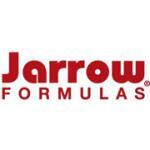 Jarrow Formulas Extra Virgin Organic Coconut Oil is derived from the fresh flesh of the coconut palm fruit. 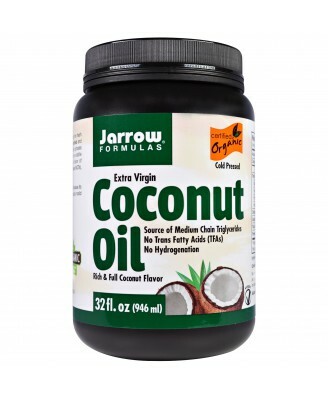 100% Unrefined cold - pressed, organic extra virgin coconut oil. 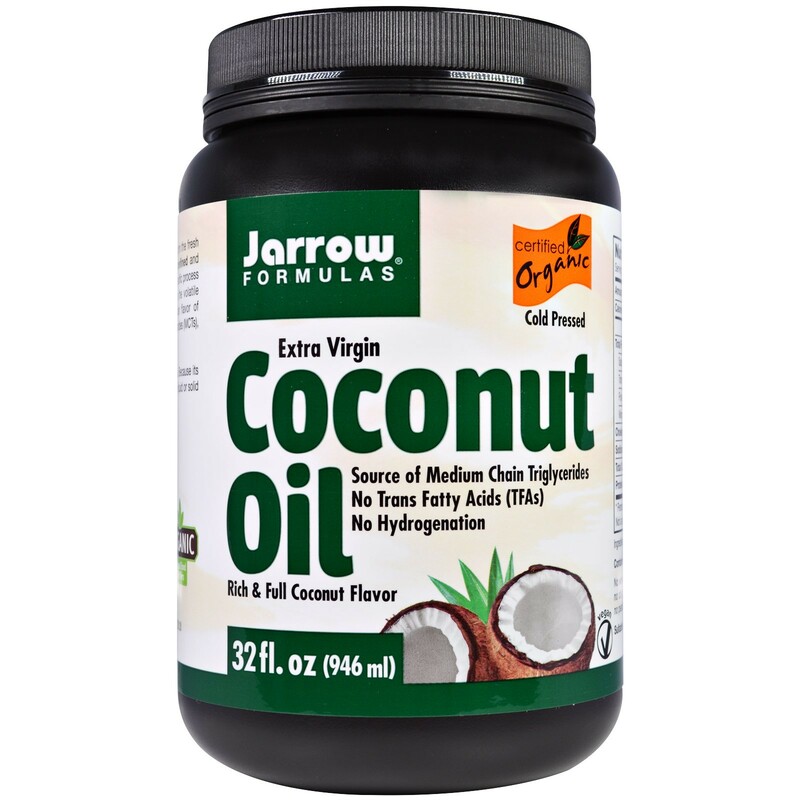 Jarrow Formulas Extra Virgin Organic Coconut Oil from the fresh flesh of the coconut palm fruit, (Cocos nucifera) is unrefined and cold-pressed in a controlled, indoor environment. 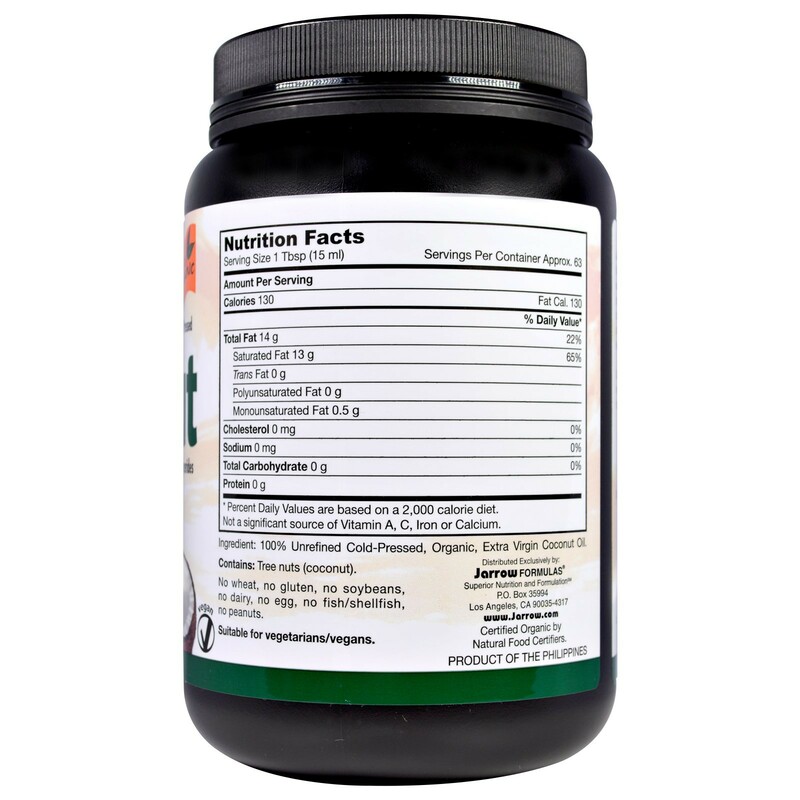 This specific process does not utilize any chemical solvents and preserves the volatile compounds responsible for imparting the rich, familiar flavor of coconuts. Coconut oil is a source of medium chain triglycerides (MCTs), such as lauric acid (C-12) and caprylic acid (C-8).